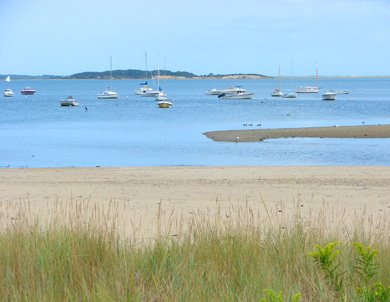 Harbor Beach is a small beach located right near downtown Provincetown, next to MacMillan Wharf. There are nearby restrooms & concessions and parking is available in the wharf’s pay lot. We loved all the beaches, but this one sticks in our minds because the sun was rising when we got there on the most perfect morning. We sat and had coffee on the beach and then went to the Farmers Market across the street. Spectacular Local in the Heart of P-Town! Provincetown condo w/AC. Great location.